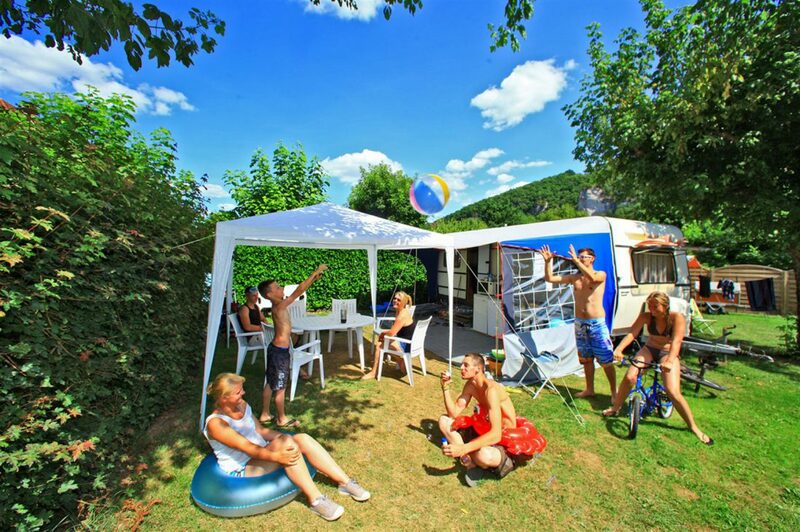 Find the true spirit "Camping"
In a preserved natural setting, the campsite welcomes you near Sarlat. 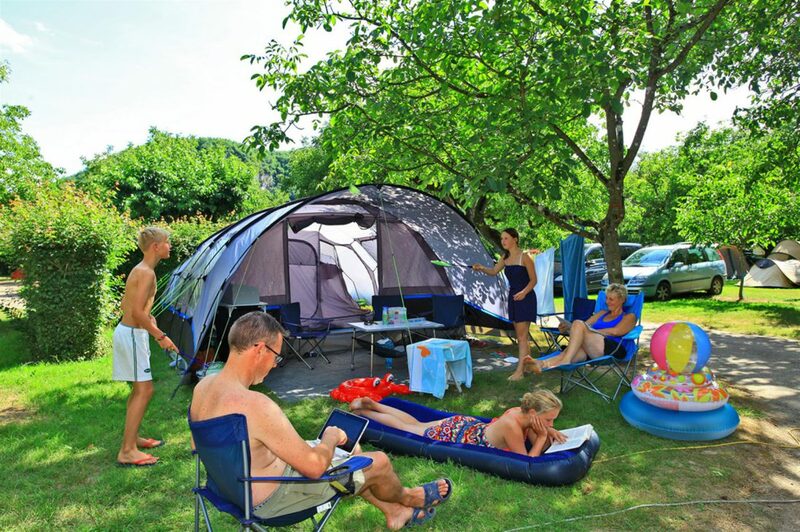 Plant your tent or install your caravan or camper on one of our 147 sites. 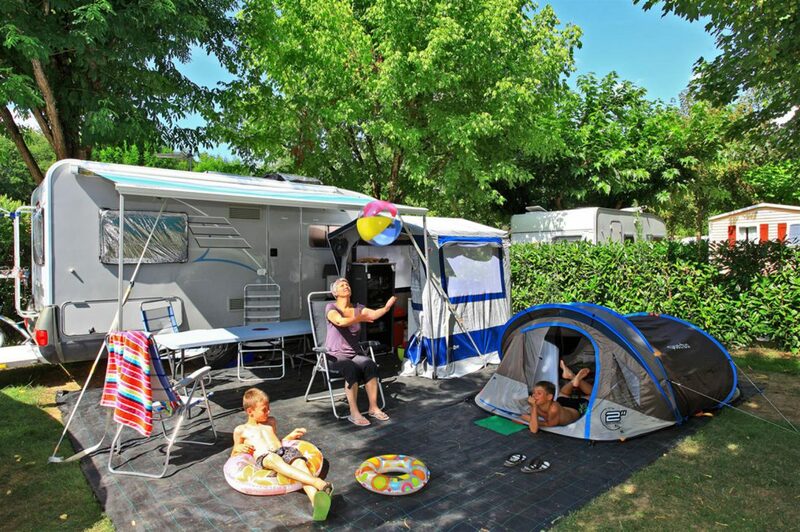 Pitches are spacious (100m ²) shaded and delimited by small hedges. They have an electrical connection (10 amps) and water points nearby. 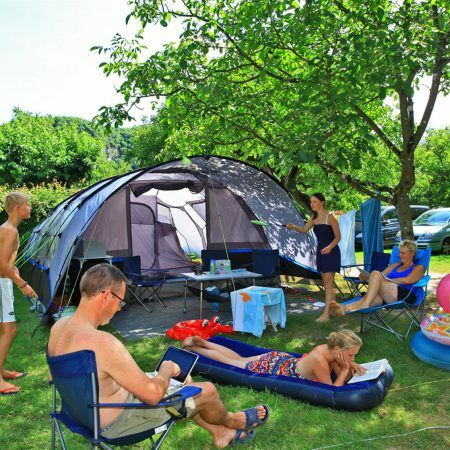 Barbecues (electric, gas or charcoal) are allowed on the campsites. The motorists will find a service area for the emptying of wastewater and the filling of the drinking water reservoir. 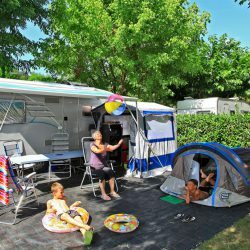 Park your motorhome without difficulty on spacious pitches of 100 m² on stabilized ground. Provide at least 20/25 m of extension cord + European adapter. Optional cancellation insurance (recommended) available on request, on our website or from your insurer.